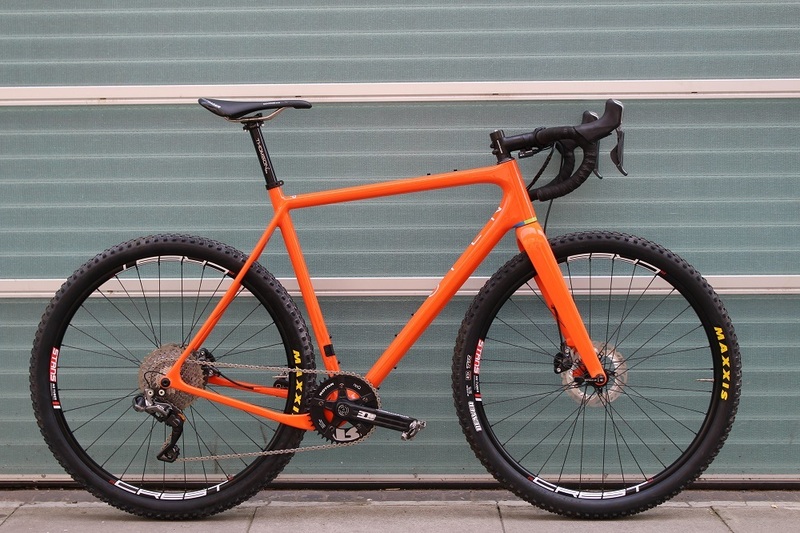 For this build we used Shimano's ST - R785 Di2 hydraulic levers coupled to an XTR Di2 rear deraiileur with a 42 tooth cassette and 42T font single chainring. 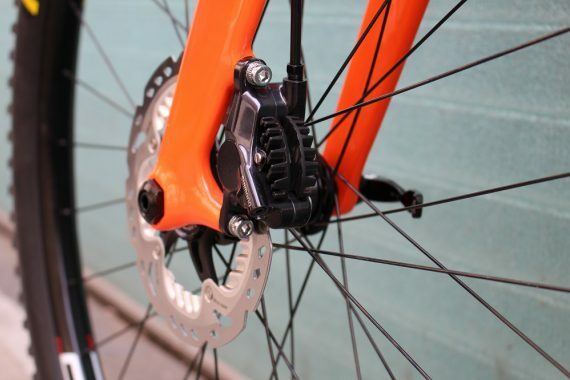 The Shimano levers are set up to change the gears with both hands; the right lever makes the gears harder, the left easier. 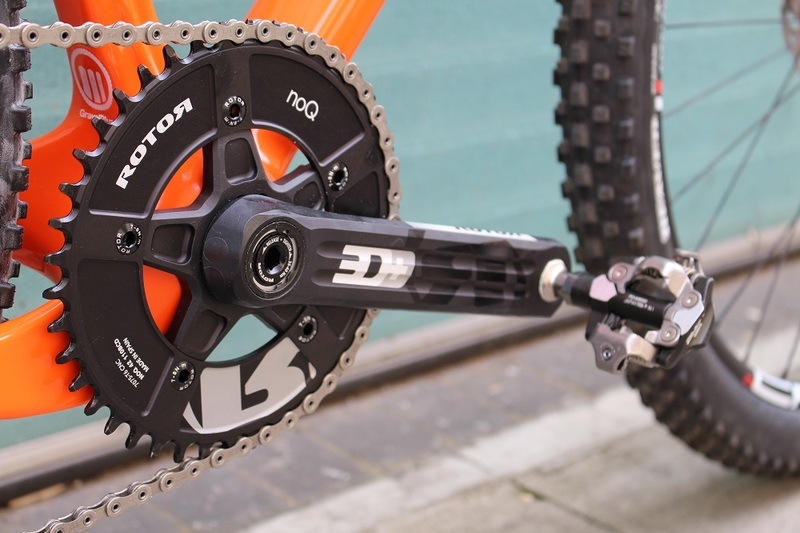 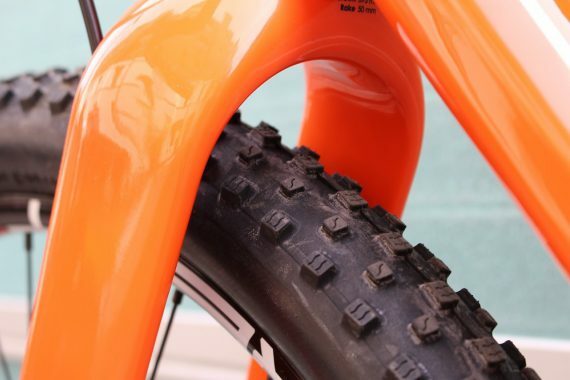 The gearing ratios are suitable for road and off-road, for more off-road and hillier rides a 38T chainring could be considered.